As a resident of any of our one and two bedroom apartment homes at The Quarters on Razorback Road, you'll be surrounded by many of the amenities you have always desired. 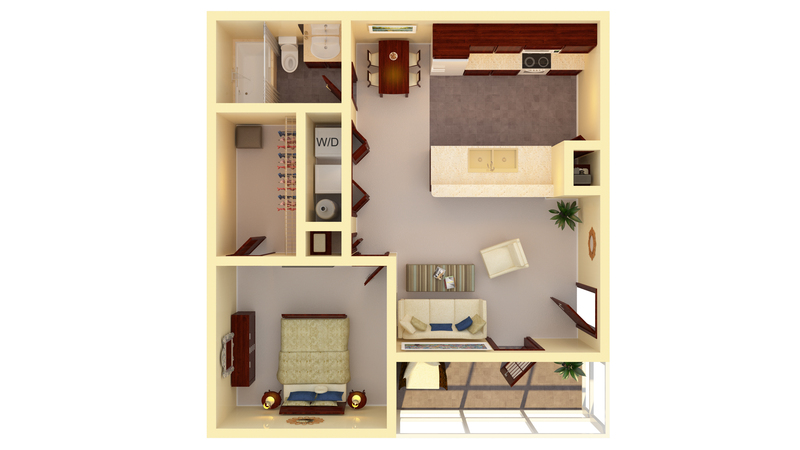 And with two options that range from 750 to 975 square feet, you can be confident that you will have the space you need. From the moment you move in, you'll have access to private balconies or patios, oversized closets, kitchen pantry, and convenient ceiling fans in bedrooms and living areas. Residents will also be able to utilize our expansive kitchens that feature a full appliance package, which includes a refrigerator, dishwasher, microwave, and garbage disposal. You can enjoy access to a biking, hiking, and jogging trail as well as public transportation with the Purple campus shuttle. 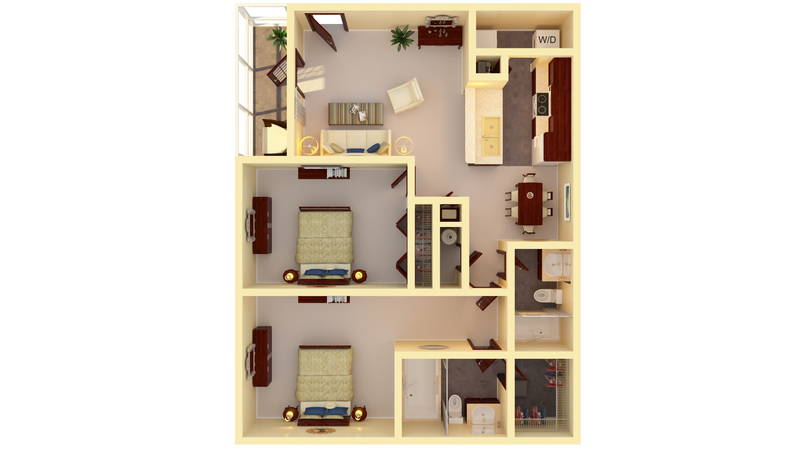 With our one and two bedroom floor plans, you are sure to find the perfect fit for you at The Quarters on Razorback Road.